Slow recovery in tandem with investment and export growth is to be expected over the medium term. 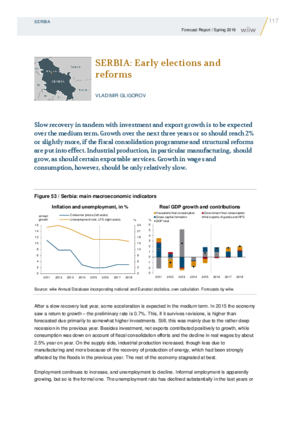 Growth over the next three years or so should reach 2% or slightly more, if the fiscal consolidation programme and structural reforms are put into effect. Industrial production, in particular manufacturing, should grow, as should certain exportable services. Growth in wages and consumption, however, should be only relatively slow.